Does Having A Bounce Rate, Cause Your Website Internal Damage? Understand, Implement, Grow. Get your hands on tackling these error, with the best eCommerce website company. eCommerce is any kind of business that deals in selling and purchasing of products or services with the use of electronic systems like computer networks and the internet. Since a long time now, eCommerce has been growing at a very speedy pace, attracting offline retailers creating a presence online too. Researchers say the expectation of retail to grow from 8% to 12% in 2018 is more preferred to be true. With a promising number like these, retailers consider eCommerce more than anything else in today’s scenario. With the same need of eCommerce, every business person looks on having an online store, where they can sell their services or products. 1. Why having eCommerce is beneficial? eCommerce website development, helps in many ways beneficial for your website. To ease your trouble the following advantage is highlighted for your understanding. For most of us, eCommerce becomes one of the most preferred ways of shopping. The reason being, the ease and joy of shopping due to its easiness and convince. The best thing about the same is buying options which are quick, user-friendly and way convenient. – Social media, organic search and Google Adwords are cost-effective ways to market your business. – Use of drop shipping to procure inventory without upfront investment. – Run and manage business to eliminate costs of payroll. The seller can increase their sales by boosting numbers of orders. This is one of the most important benefits of e-business is the availability of the products for 24*7/365. Creating and managing an online store is way more cost effective in comparison to a physical store. It optimizes the cost of land, rent, water, electricity etc. Online store eliminates the travel cost of the customer, providing complete ease. 2. What is bounce rate? The percentage of single interaction visits to a website. That is what bounce rate is all about. A page view is one of those things that is going to be the most common second interaction on the bulk websites, other than that there are about a handful of other possible interactions. A bounce rate is typically used as a measurement of a website’s overall engagement. 3. What is a good bounce rate? – If you have an informational article that answers a specific question and the primary source of traffic to the page comes from organic search, the bounce rate of the page could be as high as 90%. This could simply mean that the user found exactly what they were looking around for, and have no other ways to look after different pages. A page with a low bounce rate may not be that good if it has a poor user experience. The following numbers could help provide you with a rough guideline for gauging the performance of your pages. Study your web analytics to see the changes made are if needed. Given below are few examples to improve pages with a high bounce rate. Change the way the metrics are being measured. Analytics software like Google Analytics help in counting a visitor as a “bounce” even if the user spends a decent amount of time on the page and interacts with items on the page. 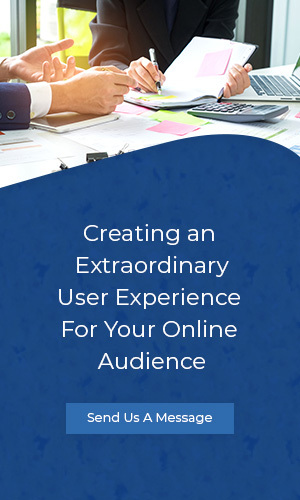 To increase the engagement level of visitors to your site, the most impactful action you can take is by identifying and highlighting content that will be appreciated by your viewers. Making changes to the improvements of your website design and usability itself can help in engaging more visitor. This action might involve activities like improving the quality of the graphics, use of good colour contrast and modifying font size and spacing. Serious problems can arise before a user even has the chance to read a page at all if the bounce rate is high. Out of all other web related problem, taking more than the time expected to load is arguably the worst that can happen. It would not matter how good or bad a page’s content is if a user is not able to read it. Just a random search box is not something that is going to be useful or show any results. If you have never really considered how site-search really functions, then it might affect your site experience. It is now time to explore the same. Having a 24-hour live chat is a great and even a bigger boost. Visitors might want to stick to a place where you didn’t take into account. They might even ask a question you have never thought existed before. By installing a live chat widget, you can go a real long way in taking care of bounce. A well-trained customer executive will engage the visitors and have them get convinced. It is important that your visitors identify a call to action (CTA) button easily if they are all going to land on your page directly. Without a CTA, the visitor will feel stranded and may want to leave your site. So the results will have to be appealing and exciting. Helping you achieve the same functionality for the best of the results with an engaging and greater conversion lead, Website developers India provides you with the best of services with best solutions, that will help you get highly refined user experience with happening designs and effortless navigation.